One of the most well-known groups of Jews today, thanks to its organizational arm called Chabad, the Lubavitch Hasidim are considered both a haredi (or charedi) and hasidic (or chasidic) group of Jews. Generally speaking, Chabad-Lubavitch represents a philosophy, a movement, and an organization. Lubavitch is the name of a Russian town where the movement was headquartered -- but did not originate -- for more than a century during the 18th century. The city's name translates from Russian to "city of brotherly love," which the movement's adherents say conveys the essence of their movement: love for every Jew. The movement's adherents go by various terms, including Lubavitcher and Chabadnik. The first Chabad Rebbe, Rabbi Shneur Zalman, was a disciple of Rabbi Dov Ber of Mezritch, who was heir to the Ba'al Shem Tov. He took his passion to task, establishing the movement in 1775 in Liozna, Grand Duchy of Lithuania (Belarus). The movement’s system of Jewish religious philosophy, the deepest dimension of G‑d’s Torah, teaches understanding and recognition of the Creator, the role and purpose of creation, and the importance and unique mission of each creature. This philosophy guides a person to refine and govern his or her every act and feeling through wisdom, comprehension and knowledge. Rabbi Schneur Zalman (1745–1812) was succeeded by seven other Lubavitcher Rebbes, each designated by his predecessor. These Lubavitcher Rebbes served as spiritual, intellectual, and organizational leaders, delving into Jewish mysticism, encouraging Jewish learning and practice, and working for the betterment of Jewish life everywhere. Although originally largely a religious movement, the organizational side of Chabad-Lubavitch saw its first fruits in the World War II era with the sixth Lubavitcher Rebbe, Rabbi Yosef Yitzchak Schneersohn (1880–1950). Born in 1902, Rabbi Menachem Mendel Schneerson became the seventh and last Lubavitcher Rebbe in 1950. 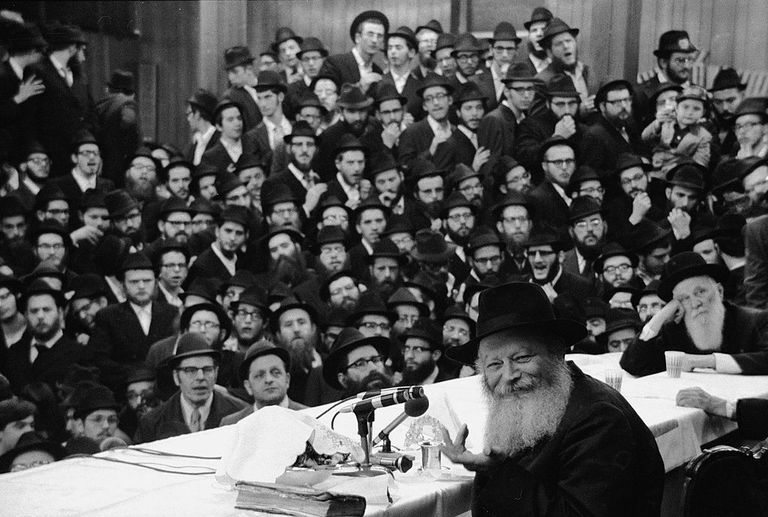 In this post-Holocaust period, Schneerson — referred to simply as the Rebbe — succeeded in creating an amazing array of programs to serve Jews worldwide from his headquarters in Crown Heights, Brooklyn, New York. When the Rebbe died in 1994, he left no successor or heirs to the Chabad-Lubavitch dynasty. The group's leadership thus decided that Schneerson would be the final Rebbe, which gave rise to a highly controversial sub-movement of individuals who believe that Schneerson was and is the mashiach (messiah). Since the Rebbe's death, the Chabad-Lubavitch movement has continued to grow and expand its educational and outreach programs around the world with thousands of emissary couples working in more than 100 countries worldwide. These emissaries are the bread and butter of the movement today, driving educational programs like the Mega Challah Bake, holiday celebrations, public Chanukah festivals and chanukiyah lightings, and more. ​There have been several outstanding books written in recent years about Chabad-Lubavitch that take a comprehensive look at the movement's origins, history, philosophy, emissaries, and more.